Set Price Saving: Up to £80.00! 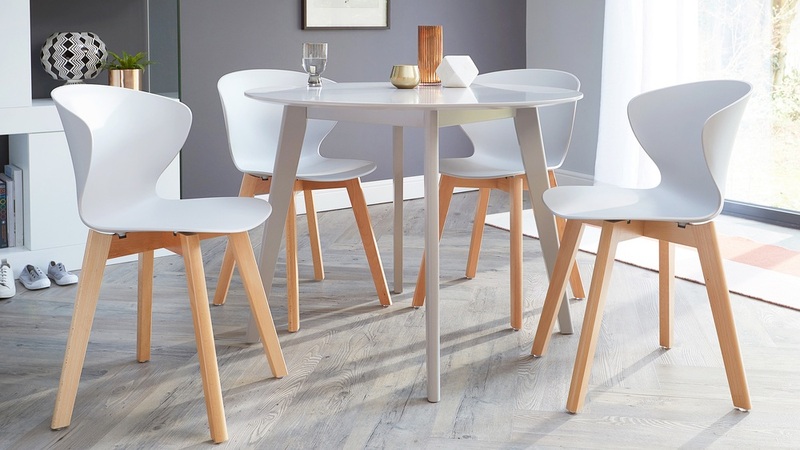 Looking for a four seater dining set that will freshen up the look and feel of your dining space without breaking the bank? We just might have the answer! 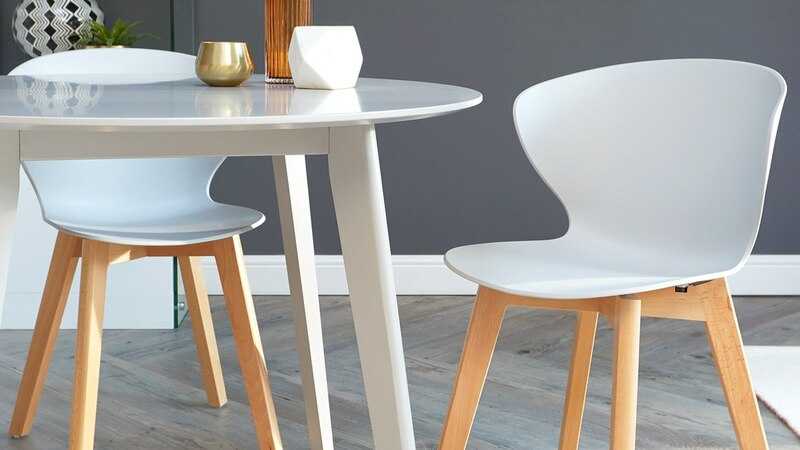 The Terni and Ora dining set combines our popular Terni table with our practical Ora dining chairs to offer you a stylish place to it down to dinner. 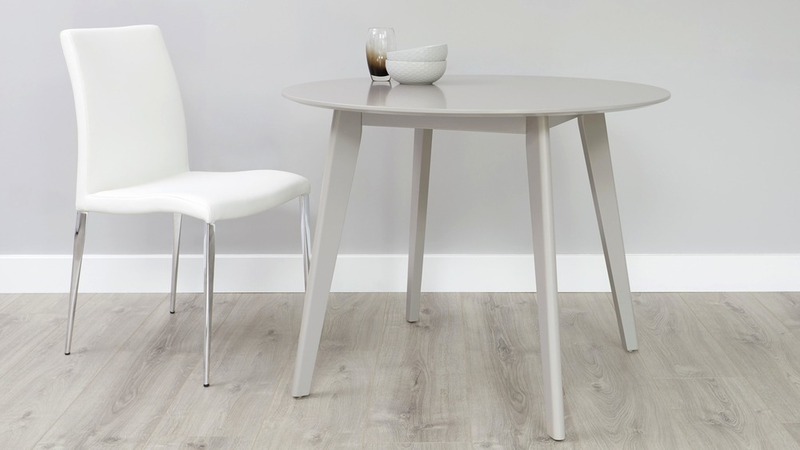 The Terni is a four seater dining table designed for both open plan spaces or to be tucked into a cosy corner. 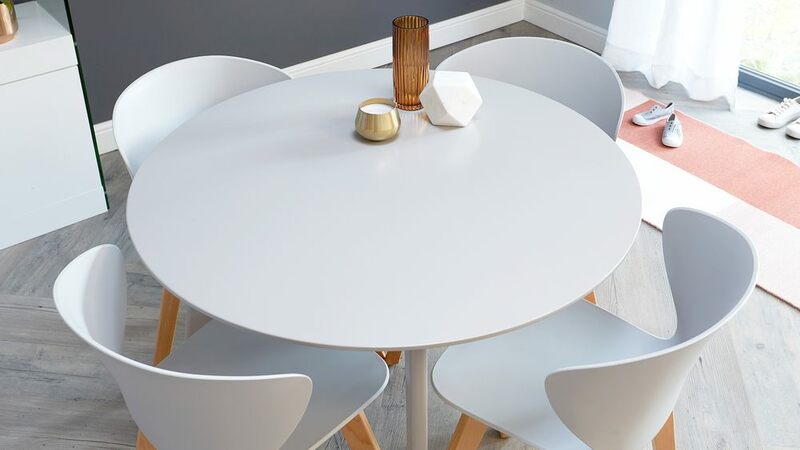 This makes this dining table and chair set perfect for an area where you don't have a dedicated dining room or to make the most of an open plan space. 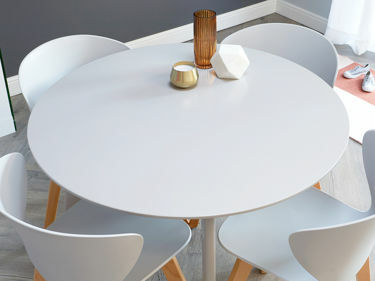 Round tables are a great alternative to having a rectangular dining table, as they are known for being very convivial. This is mirrored by the seat back of the Ora chairs, helping to keep friends and family stay sitting comfortably for longer.  The finish on the Terni table is a satin matt grey. It's not a high shine like gloss but it has a soft sheen. This keeps the table looking light and tactile adding a modern, bright and spacious feel to your dining space. 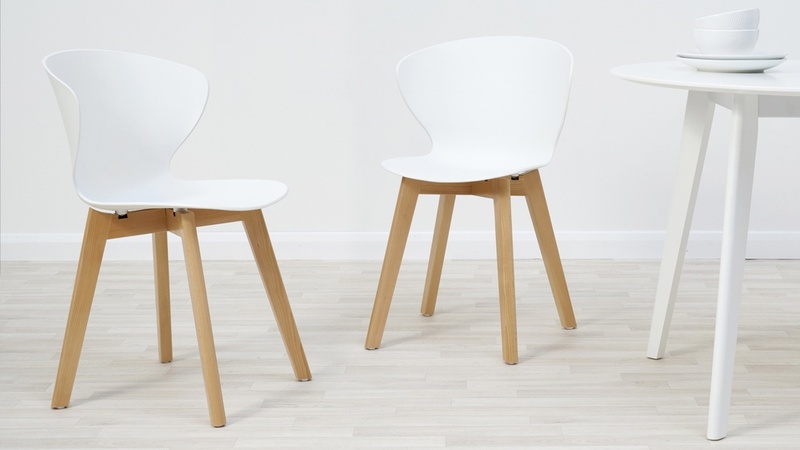 The Ora chair legs are made from solid beech wood while the seat is made from molded polypropylene. Polypropylene is a wipe clean and durable finish that won't show grubby fingerprints, resulting in easy clean ups after busy family mealtimes. The base of the chair legs have clear, PVC plastic floor protectors. 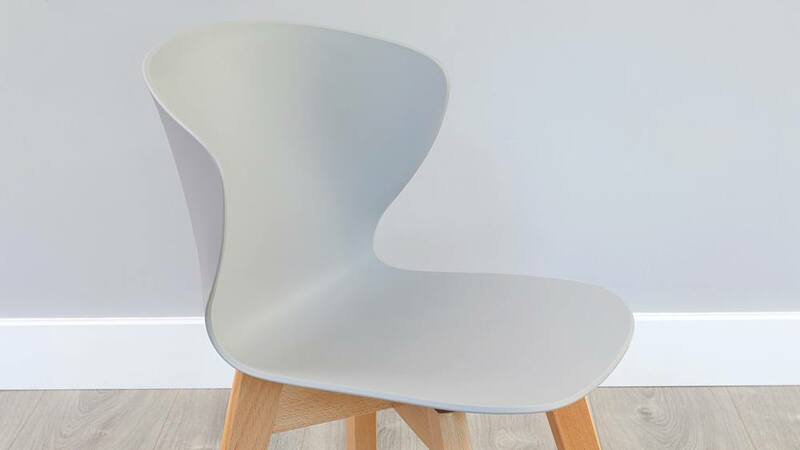 This discrete detail will not only help to protect the chair and your flooring, but will also help to reduce drag noise when the chairs are tucked in and pulled out from the table. Please note that the Ora can only be purchased in pairs and comes in a box of two.  For more information, you can also view the Ora dining chair and Terni four seater dining table individually. 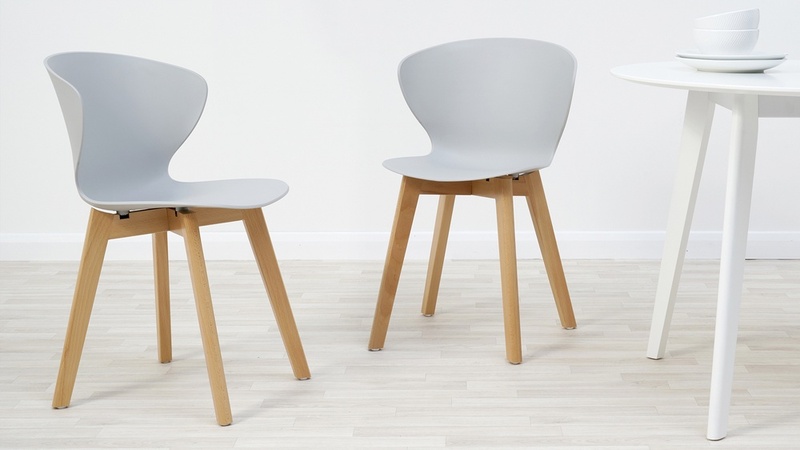 The Terni table is a seamless match with the Ora dining chair so we just had to put these two furniture pieces together. This is because the curved seat back of the chairs mirrors that of the round table, creating a really clean-lined and coordinated look. 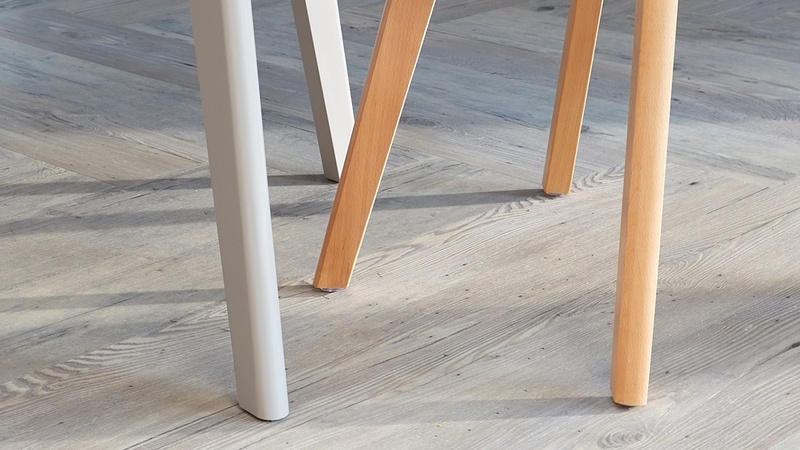 The solid wood legs of the Ora add a warmer look to the grey tones of this set, and are a great coordinating feature with existing materials in your space.